Latest posts are at the top and do watch out for updates. Livestreams are sometimes available on Eurosport (plus media player), or via such sites as CyclingFans, Steephill or Procyclinglive. The UCI YouTube channel should feature the World Cup races and do visit event websites to see if they have information regarding local, regional (both often free) or national TV coverage. The Global Cycling Network are to show many of the top races live – these will include Brico Cross, Superprestige and DVV verzekeringen trofee. Update February 26th 2019: Good memories from the season include; snow in Japan, mud in the USA, Spain, Italy and France (I mean real mud), Yolanda Neff’s bunny hopping win at Baal was simply fantastic, the amazing sight of Sanne Cant holding off a horde of Dutch riders at the World Championships was a ten out of ten (or 11 on the Spinal Tap scale), Hulst was the best course and all the women’s races were superb. MVDP may have won most of the men’s races but he did it with style and many of his opponents did keep him honest especially Toon Aerts. Out of this world was a second rainbow jersey for Ben Tulett at the Junior World’s, what a rider! Do bear in mind that the international scene with its many stars rests on the shoulders of local and regional races held across the World. The final international cyclo cross of the season held in Belgium. C1. The Soudal Classic series concluded at the GP Leuven held in Belgium. C1. The final round of the Telenet Superprestige was held at Middelkerke, Belgium. C1. Round seven of the Telenet Superprestige was held at Hoogstraten, Belgium. C1. The eighth round of the DVV verzekeringen trofee was the Krawatencross held at Lille, Belgium. C1. The seventh round of the Brico Series at Maldegem, Belgium gave riders the first opportunity to race after the World championships. C2. Held at Bogense, Denmark. CM. Results after video and picture links (picture of Sanne Cant). I hope some of the links above will not be pulled. The final round of the UCI World Cup held at Hoogerheide, Netherlands. CDM. Action from the Netherlands. C2. The latest round of the UCI World Cup held at Pont-Château, France. CDM. Action from Zao, Japan. C2. Held at Leudelange, Luxembourg. C2. The first chance to show off new national title jerseys at Otegem, Belgium. C2. Round seven of the dvv Trofee held at Brussels University, Belgium. C1. Round six of the UK National Series held at Shrewsbury. C2. Not part of any series this cyclo cross was held in Gullegem, Belgium. C2. The final round of the Swiss National Series held at Meilen. C1. The GP Sven Nys was the sixth round of the DVV verzekeringen trofee held at Baal, Belgium. C1. Luxembourg cyclo cross held at Pétange. C2. The final round of the French national series held at Flamanville. C2. Round six of the Brico Series held at Bredene, Belgium. C2. The Azencross held at Loenhout, Belgium was the fifth round of the DVV verzekeringen trofee. C1. Round seven of the UCI World Cup held at Heusden-Zolder, Belgium. CDM. It was a real shame that Ben Turner crashed out of third on the last lap. Swiss cross held at Luzern. C2. Round six of the UCI World Cup was held at the infamous Namur Citadel, Belgium. CDM. The Waaslandcross held at Sint-Niklaas, Belgium was the third round of the Soudal Series. C2. Round five of the Superprestige series held at Zonhoven, Belgium. C1. Held at Louisville, KY. CN. Austrian cyclo cross held at Paura. C2. The last event of the Italian national series. C2. Latest action from the DVV verzekeringen trofee was the Scheldecross from Antwerp, Belgium. C1. Round seven of the Czech national series held at Mlada Boleslav. C1. Japanese cyclo cross held at Utsunomiya city. C2. 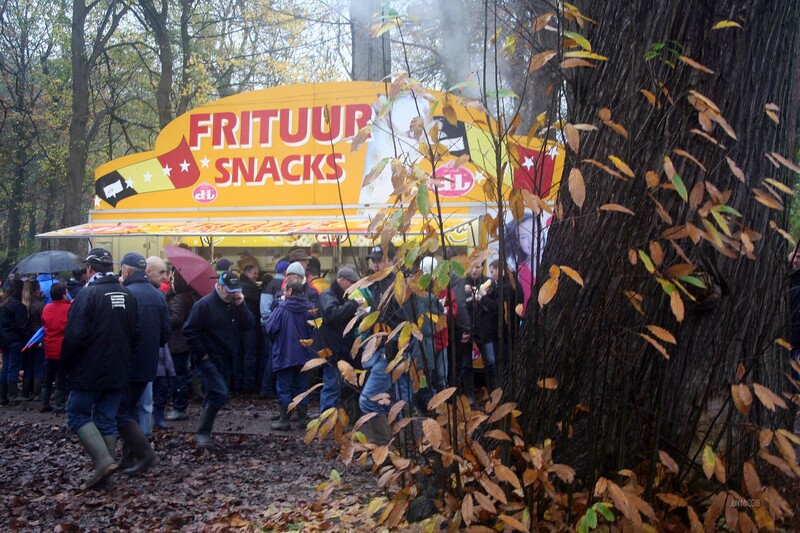 A classic Belgian cross held at Overijse. C1. Italian action held at Gorizia. C2. Round five of the Swiss national series held at Eschenbach. C1. Round 5 of the UK national series held at Ipswich. C2. Round five of the Brico Cross held at Essen, Belgium. C1. Day two because of a heavy snow fall. Italian cyclo cross held at Trevis. C2. Held at Broken Arrow, Klahoma, USA. C1. French cyclo cross from Troyes. C2. Round five of the Czech National Series held at Jabkenice. C2. Held at Mol, Belgium. C2. Two days of cross and a round of the NECX Series held at Warwick, USA. C1. The latest round of the Soudal Classic series was the GP Hasselt, Belgium. C2. Not UCI – Italian cross Koksijde style and crossing water in the USA. The latest round of the UCI World Cup was held at Koksijde, Belgium. CDM. Round four of the UK national series held at York. C2. Round seven of the Slovak national series. SVK. C2. Japanese cross held at Makino, Takashima City. C2. The Trof.Cop.ed.Brugherio82 was the latest round of the Italian series. C2. Held at Wachtebeke, Belgium. C2. The third round of this series held at Hamme, Belgium. C1. The fourth round of the Swiss series held at Hittnau. C1. Minamimaki Village, Nagano, Japan. C2. Two days of racing in New York State, USA and a round of the NECX. C2. Held at Cycloplex, Indianapolis , USA. C2. The fourth round of the series held at the fearsome Gavere in Belgium. C1. Held at Madiswil, Switzerland. C2. Second round action at Pierric, France. C2. Peterborough, Canada held in conjunction with the National Championships. C2. See also below for pictures from the weekend. Round five of the national series. C2. Ardingly, near Crawley, GBR. C2. All sorts of great links: https://www.facebook.com/events/…. The second round held at Niel, Belgium. C1. Round five of the Czech national seties held at Kolín. C2. Japanese cross held at Hibino. C2. Held at Peterborough, Ontario, CAN. CN. Held at Rosmalen, in the Netherlands. CC. Midland, Canada. C2. Held as part of the Pan American Championships. Maybe the most popular cross in the world featuring the infamous Koppenberg climb at Melden – Oudenaarde, Belgium. Round three of the Superprestige series was held at Ruddervoorde, Oostkamp, Belgium. C1. French race held at Jablines. C2. 2 Marlène Morel-Petitgirard (Fra) 0:00:0? The fourth round of the Slovakian series. C2. Swiss race held at Steinmaur. C2. Round two of the UK national series held at Irvine, Scotland. C2. Luxembourg action held at Contern. C2. Round one of the Japanese series race held at Sagae-shi. C2. Held at the Olympic site in Munich, Germany. C2. Round one of the Soudal Classic Series was the GP Neerpelt held in Belgium. C2. Please note: I am not sure what links work in the UK or eslewhere and I hope that where ever you are those listed here are live for you. Held at Laudio-Llodi in Spain. C1. Two days of action – day one at Devou Park, Kentucky and day two at Carter Park, Ohio, USA. C1. Latest Czech national series racing held at Slany. C1. Held at Jamesburg, New Jersey, USA. C2. Mid week race held under lights in the Netherlands. C2. Round three was held in, Bern, Switzerland. CDM. Held in Sherbrooke, Canada. C2. Held at Cles, Italy. C2. Held at Ternitz, Austria. C2. Round two of the Superprestige held at Boom, Belgium. C2. Women (not 1st lap) and men full race: https://www.facebook.com/globalcyclingnetwork/.. Mid week Belgian action. BEL. C2. The first round of the Superprestige series held at Gieten, Netherlands. C1. Held in the USA. C2. Snow and mud at Boulder, USA. C2. Racing began in warm weather and then snow fell! First round of the French series held at Razès/Lac de Saint Pardoux, FRA. C2. Spanish event held at Marin-Pontevedra, ESP. C2. The fourth round of the Brico Cross Series held at Lokeren, Belgium. C2. Round 3 of the Czech series held at Jicin, CZE. C2. Japanese cyclo cross supported by Trek held at Nakauchi 2018. C2. The second round of the Brico Cross series held at Ronse, Belgium. C1. Round two of the Swiss series held at Aigle, Switzerland. C1. 6/7 October: West Sacramento CXGP – WSCXGP. Held at Derby, UK. C2. Round two of the national series held at Rakova C2. Round one of the Brico series held at Meulebeke, BEL. C2. Held at Lutterbach-Pfastatt, France. C2. Round two of the Czech national series held at Hlinsko, CZE. C2. Iowa City, Iowa, USA. C1. The last of three days of cyclo cross which included a UCI World Cup. Round two of the UCi World Cup held at Iowa City, USA. Held as part of the UCI World Cup round 2 at Iowa City, Iowa, USA. C2. First round of the Czech national series held at Unicov, CZE. C1. Round one of the UCI World Cup held at Waterloo, USA. Swiss cross held at Illnau. C2. A great warm up event for the World Cup Cross. What was once ‘CrossVegas’ is now the ‘RenoCross’ held as part of the huge Interbike Show located now in Reno, USA. C1. There is a full highlights show on VTM.be but you need to be registered and maybe use a VPN to view. 11/12 August: Australian National Championships. Sam Miranda, King Valley, Victoria. 5 August: Chilean National Championships.